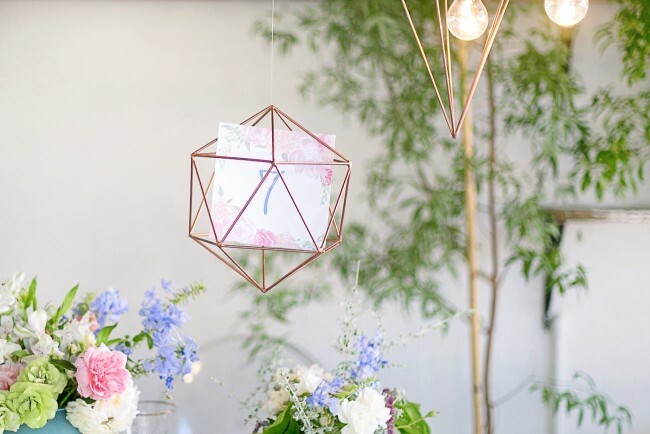 Rose Quartz Pink + Serenity Blue Geometric Wedding Ideas ? 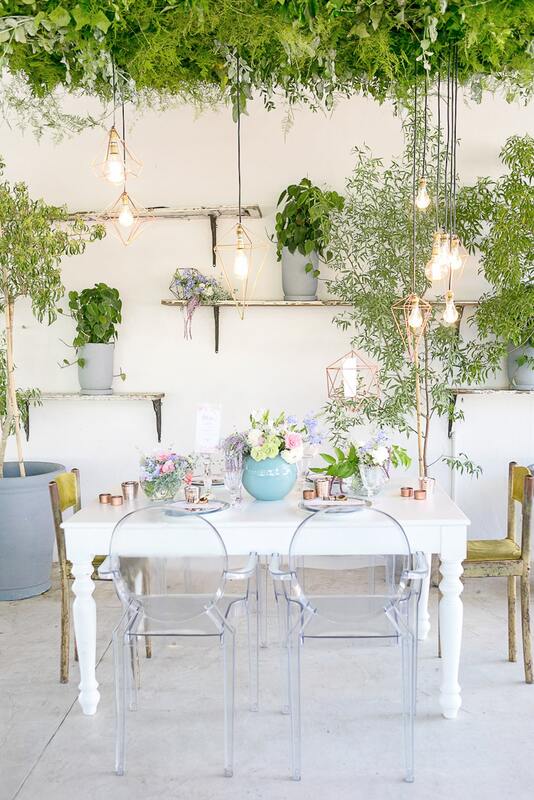 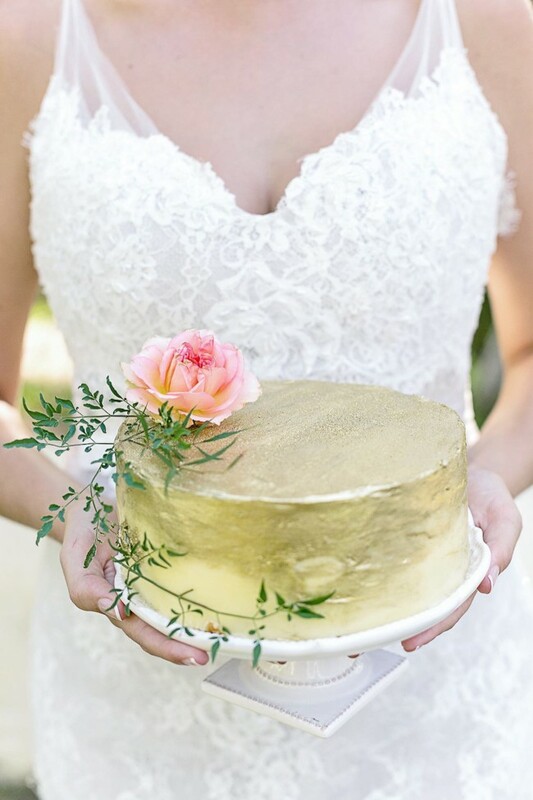 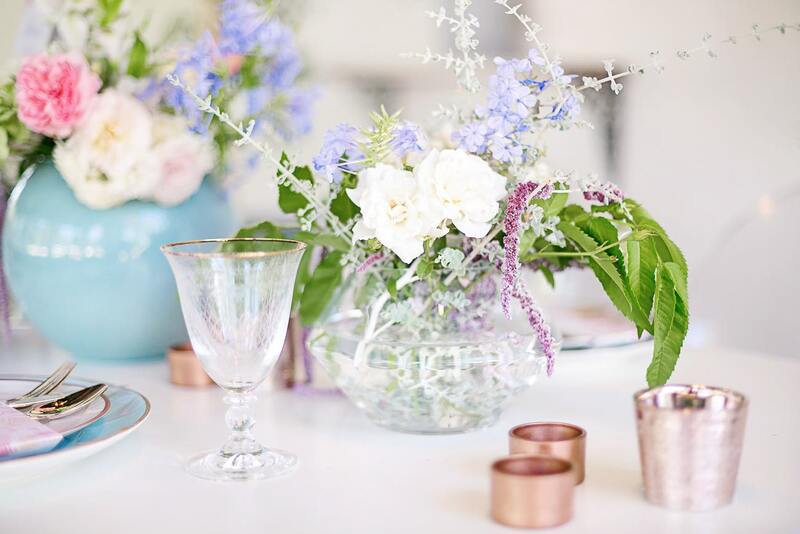 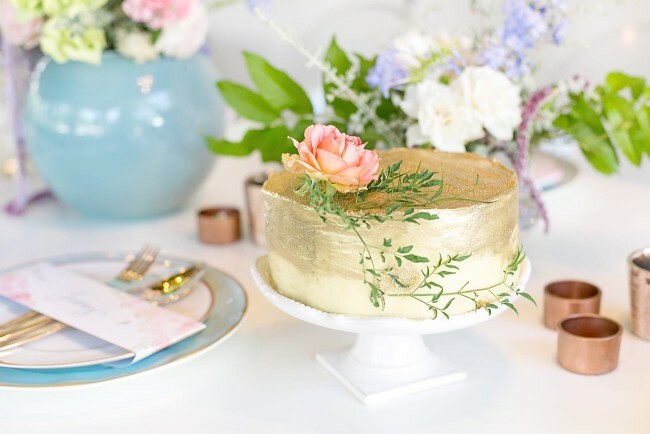 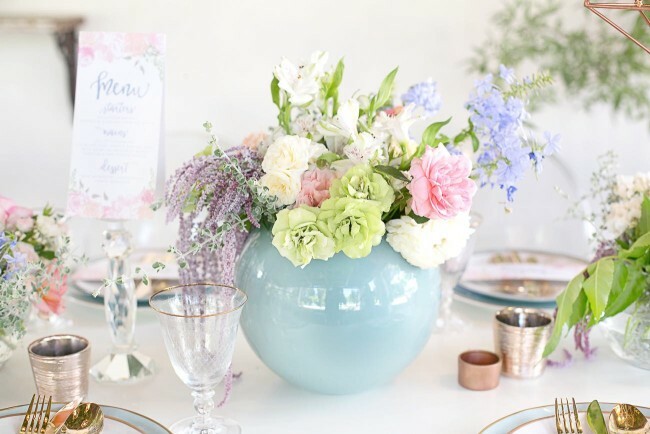 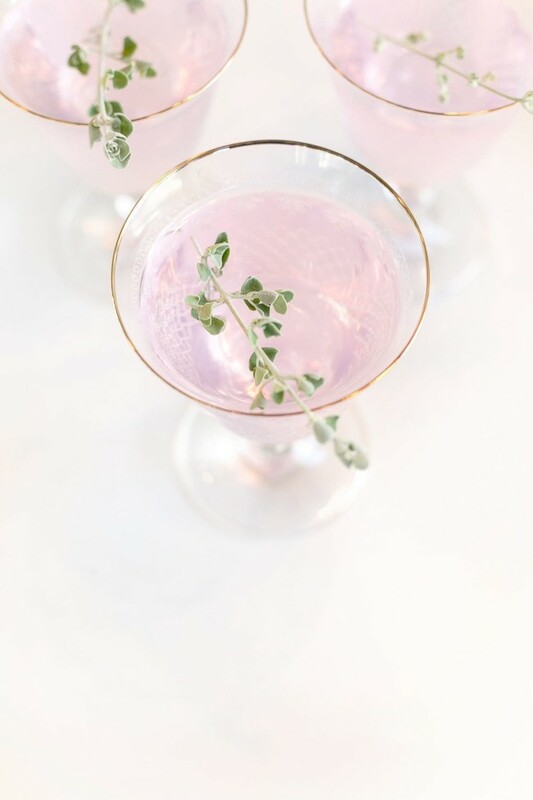 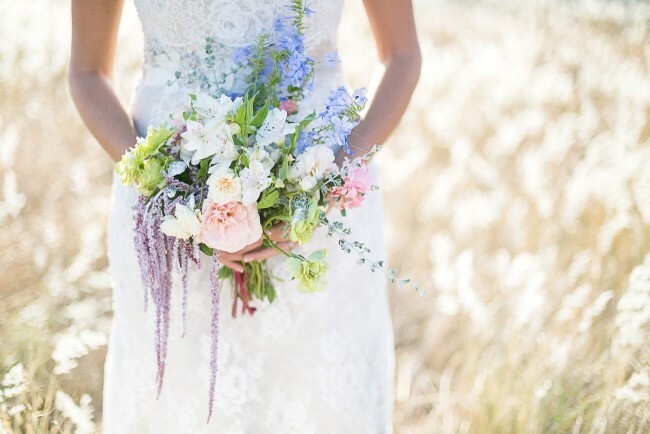 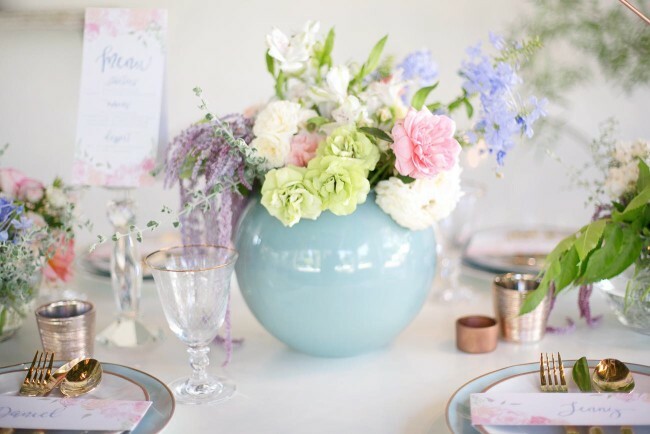 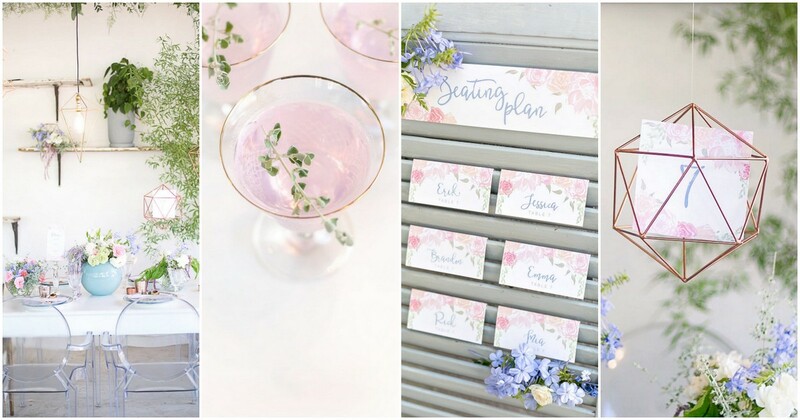 Today Veronique-Photography brings us a gorgeous wedding inspiration shoot created around the beautiful pairing of Rose Quartz, a soft pastel pink and Serenity, a soft blue. 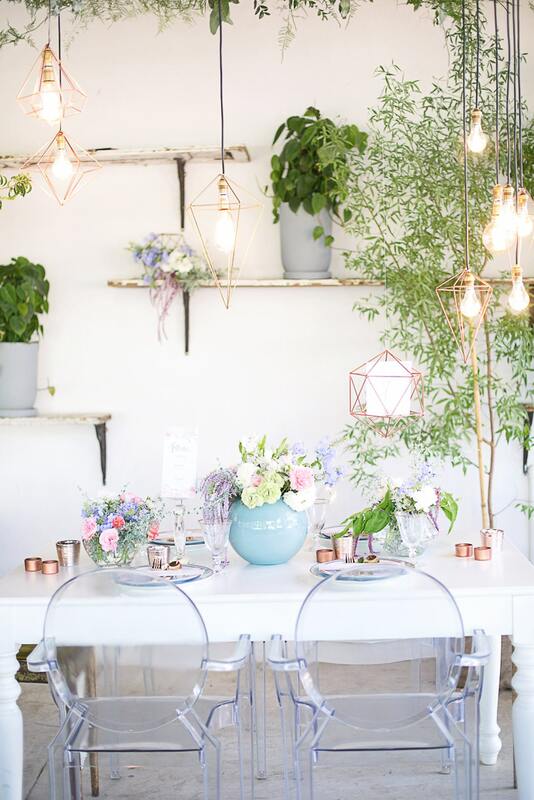 These colours were chosen as the Pantone colours for 2016 and combined with bold, copper geometric details, the shoot showcases some of the big trends of 2016. 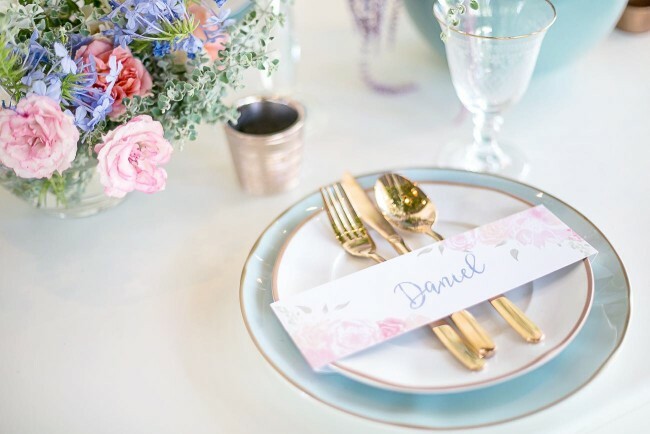 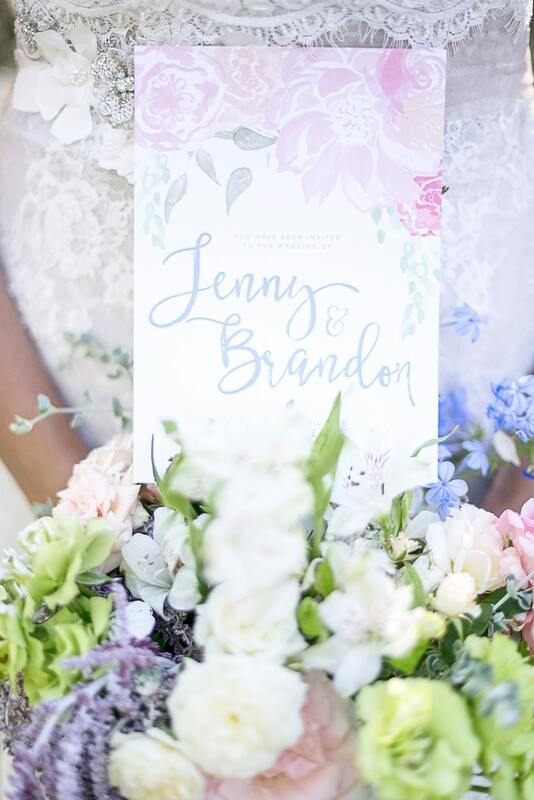 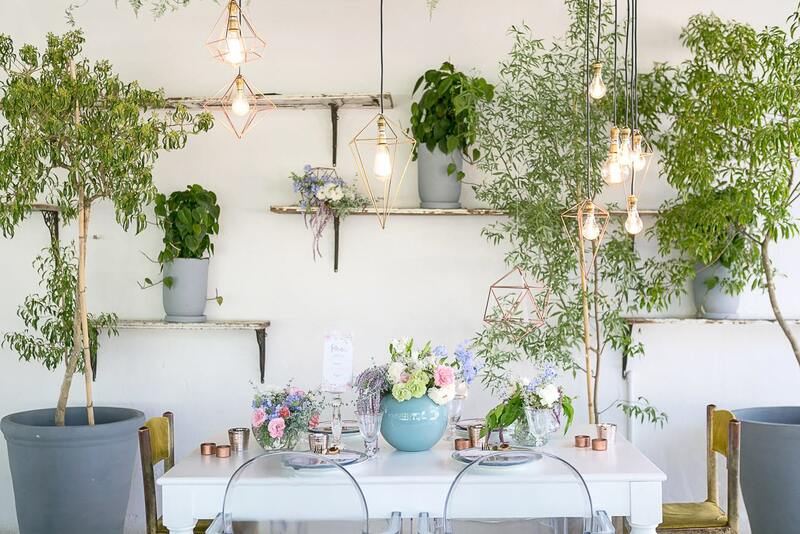 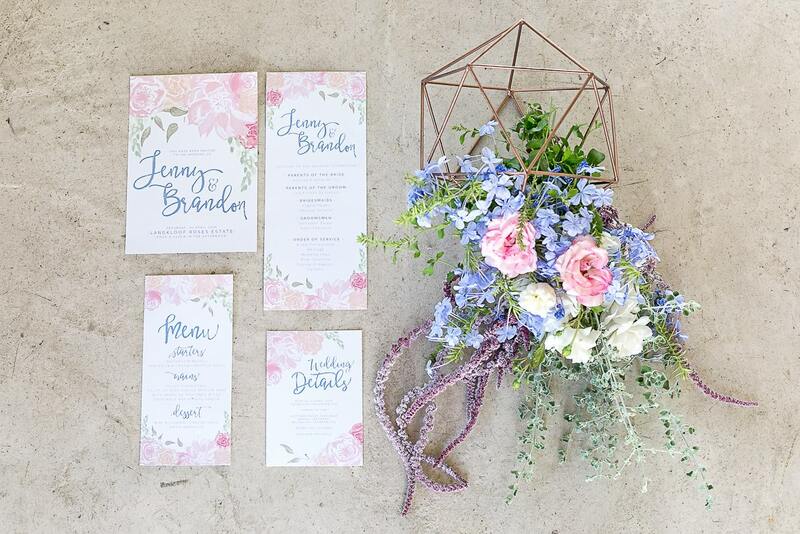 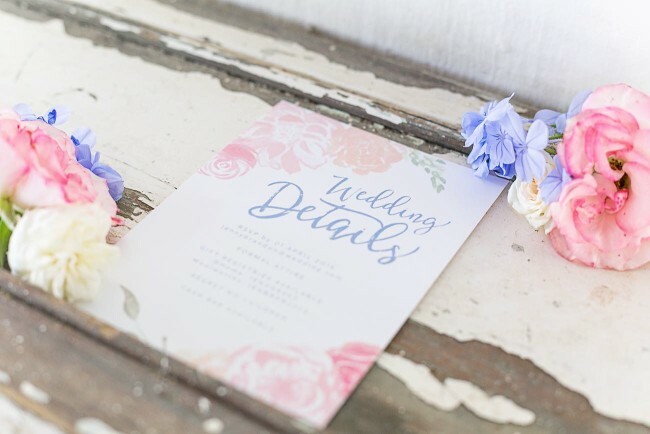 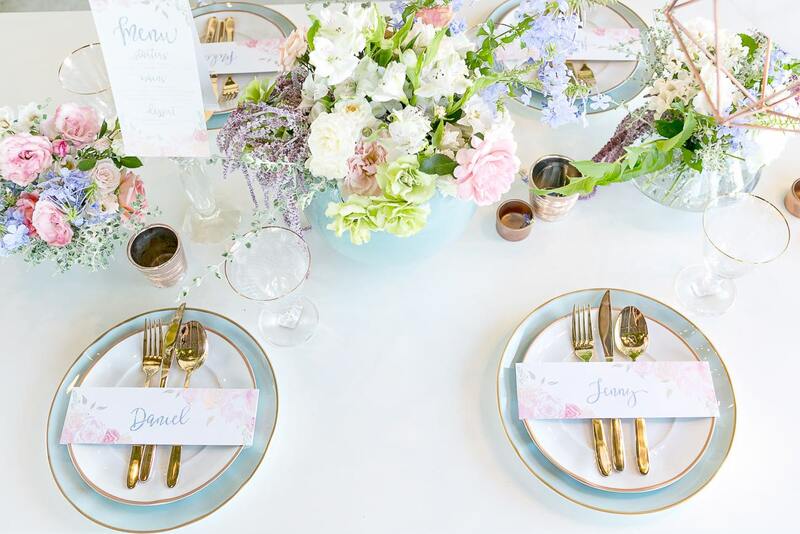 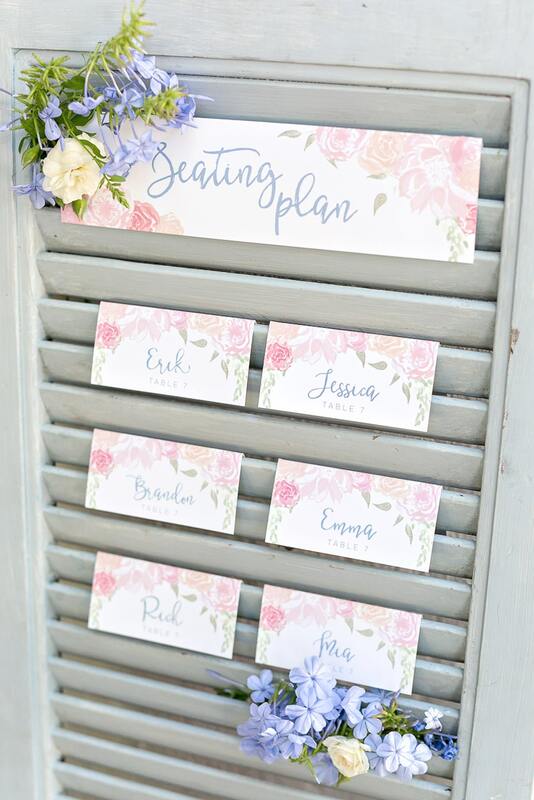 The soft, pastel invitations, menus, belly bands, table numbers and place cards were designed by Pretty in Stains, tapping into the popular trend of floral, watercolour weddings. 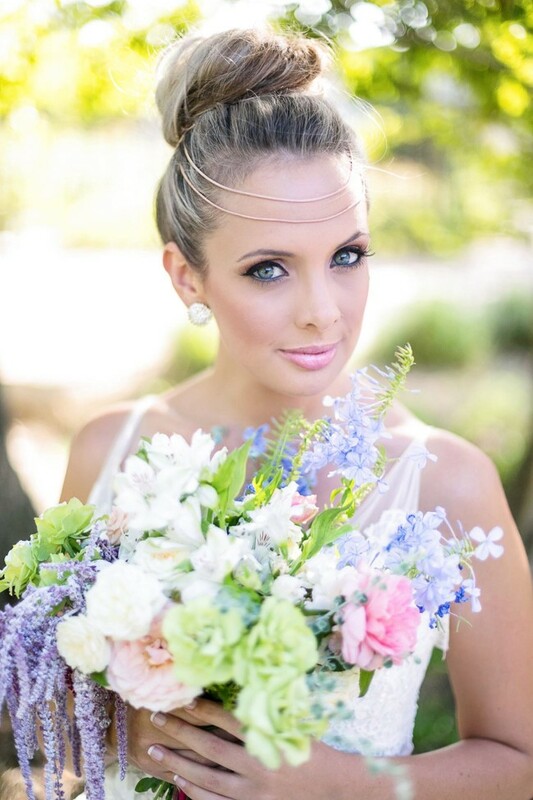 Whimsical Braids, Bohemian Locks and Ballerina-inspired buns continue to be big in 2016. 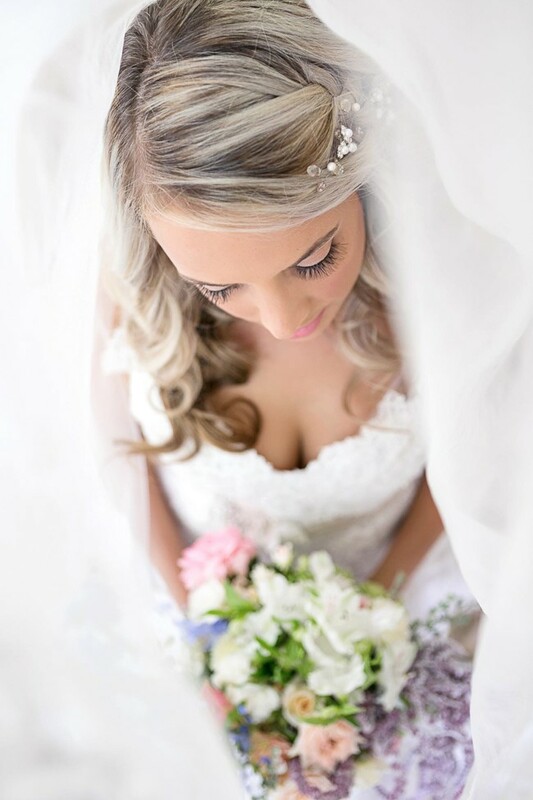 “We opted for Bohemian Locks, very natural softly curled hair or a whimsical braid if you are steering towards a more relaxed and romantic wedding. 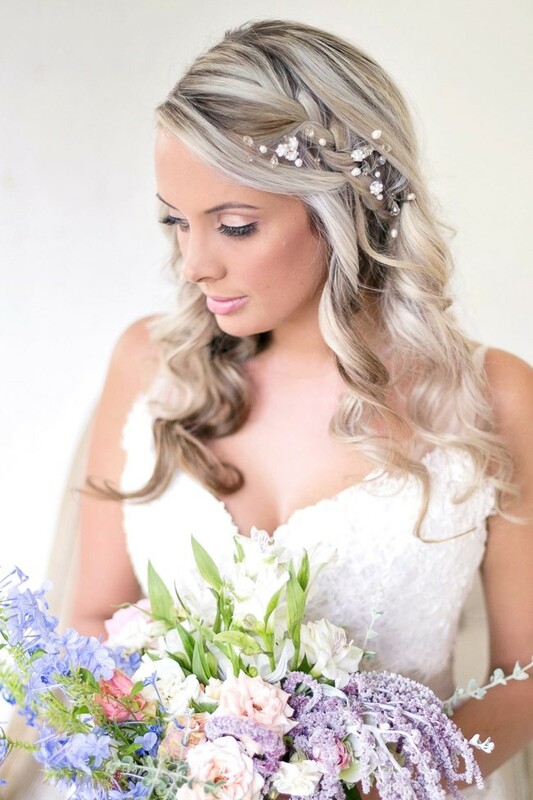 We also loved the Ballerina-inspired look for a more modern wedding!” The Elizabeth Stockenstrom gowns were were finished off with Lily Blue accessories. 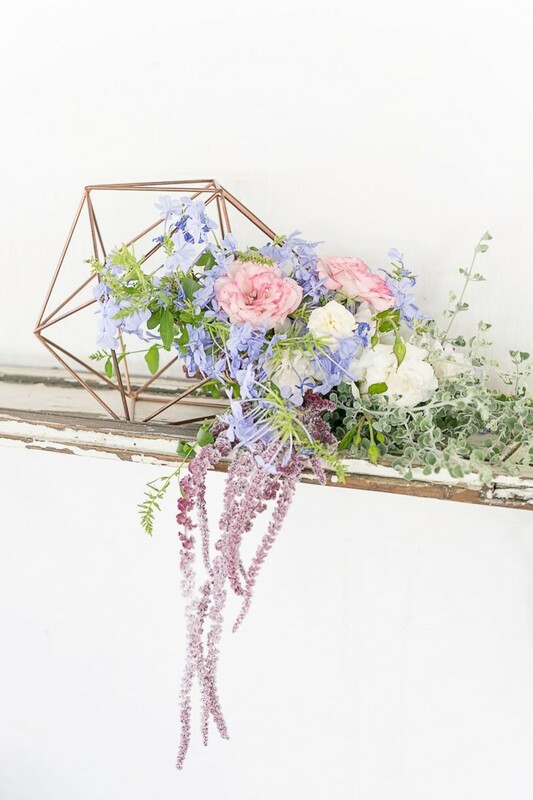 So much beauty in store for us today, what a gorgeous way to begin the week!